“After” Dave Wheeler spent 200+ hours drawing, cutting, piecing, stitching and hammering. I am intrigued by this class of cowboy boot, the “wowie-zowie” or “killer” cowboy. 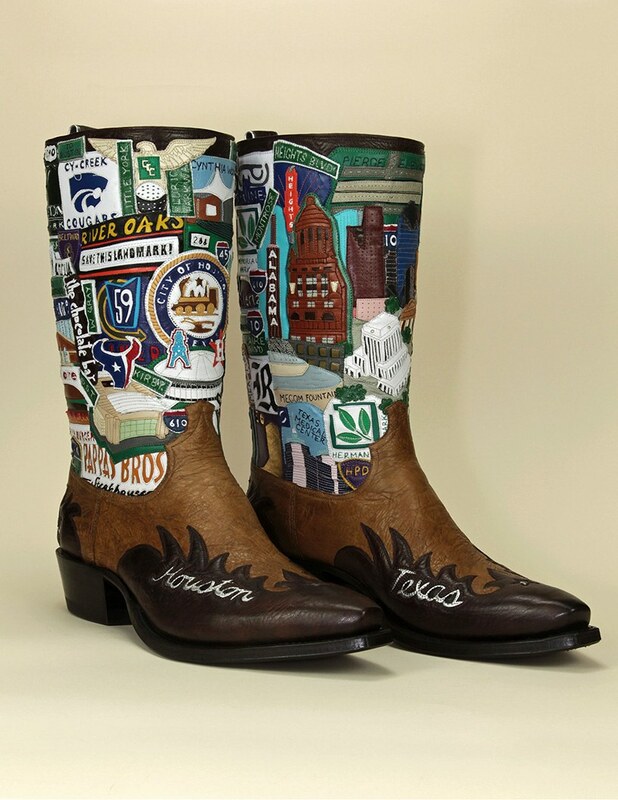 The cowboy boot that is more decorated than not. The boot that holds your attention for a very very long time. It takes a special bootmaker paired with a unique customer to build a boot like this. The bootmaker needs to be on top of their game… with a special eye for color and symmetry. Creativity only counts for something if you have the stitchwork to pull it off. AND… this same bootmaker needs to keep the shop’s other customer orders moving along, even as this landmark boot gets built piece by piece. A true talent. Dave estimated he put in 10-12 hours, every 2 weeks, for more than 8 months… and then each and every weekend nearing the rodeo deadline on his “Houston” boots. 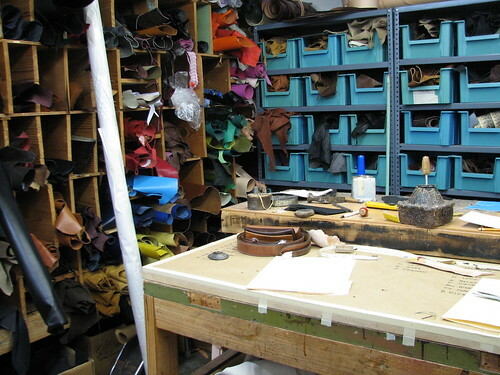 The customer needs a heart-felt passion for the project, unwavering confidence in their bootmaker… and a credit card. Become your bootmaker’s favorite customer. I’m COMPLETELY serious…. you need to be ordering matching belts, sending Christmas cards, and bringing in boot orders from your friends. Try and convince your maker to enter a contest or competition. Most folks order plain boots, your boots represents a unique chance for the bootmaker to show-off. Resist the urge to micro-manage. You are paying the bootmaker for their expertise, let ’em use it. Besides, no bootmaker is gonna want to spend 200 hours on what feels like a paint-by-number project. If you’re hovering over the stitches and thread color, you’ve gone too far. Don’t even think about ordering these “for Christmas” …or worse, a wedding. No way.